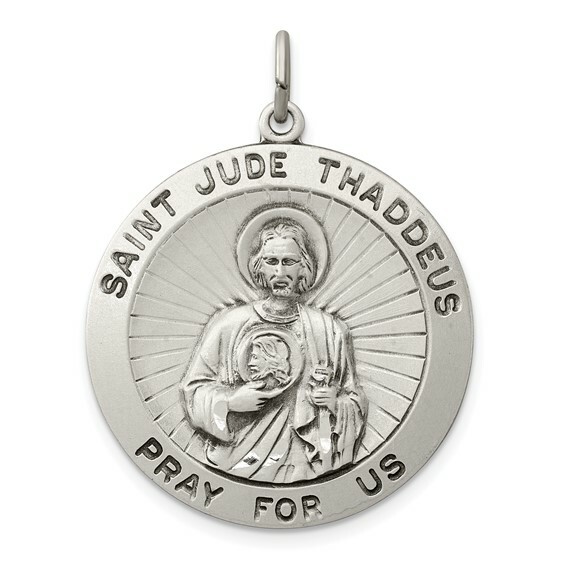 Round St Jude Thaddeus medal is made of sterling silver. Item measures 1 inch tall by 1 inch wide without bail. Weight: 7.8 grams. This item is slightly larger than a quarter. Diamond cut. Chain not included. Made in the USA. Loop on the charm was just a very small ring..had to purchase a nice loop to go with the charm..